FILE - In this May 15, 2016 file photo, students embrace as they arrive for the Rutgers graduation ceremonies in Piscataway, N.J. Source: AP. Would you be fooled into thinking that the University of Devonshire existed? How would you like to own a qualification from the University of Wexford? Or does graduating from the University of Palmers Green appeal? These were all trading names of the University Degree Programme, set up with websites looking like they were licensed universities. Thankfully, these fake institutions have all long since been shut down, though the qualifications they issued may still be in use. And this is only the tip of iceberg, because new fake universities appear all the time. The process to set up a fake university can be easy – a convincing domain name with an educational website installed from a template should do it. And with the addition of relevant text, sometimes plagiarised directly from a real university website, the deception is complete. Recently, more than 40 websites awarding fraudulent and worthless degrees to UK students were closed down as part of a higher education crackdown. The websites allowed those desperate enough, to fork out money for a fake certificate, which would state they had achieved anything up to doctorate level qualifications. Many of the websites shut down by the Higher Education Degree Datacheck used names close to those of real universities – such as the supposed “Stafford University”. This seemingly operated on the laurels of the legitimate Staffordshire University. During my 15 years working in academic integrity research, I’ve come across many methods students use to claim qualifications they don’t deserve. My work on contract cheating, where students pay others to complete their assessments, revealed a network of students looking to build up their degree one fake assignment at a time. Buying a whole qualification outright goes beyond this, circumventing any chance that students have of learning. Fake universities and diploma mills operate with different levels of subtlety and sophistication. Some fake universities claim to be able to issue awards based on “life experience”. For a fee, they allow people to demonstrate that they’ve already gained the skills needed for a qualification – and they issue a certificate to prove this. Other fake universities set their site up to look like a real university. Some issue assignments to students. The assignments may never be marked, but could fool people into thinking they were taking a legitimate course. Many fake universities dispense with pretence and just ask for payment for an award. But a more elaborate business model used by a small group of fake universities has also emerged. These offer subscriptions where they keep up the pretence that their fake qualifications are legitimate. They have also been found to offer services to verify that qualifications they awarded exist, accompanied by fake job references. It’s also possible to buy a fake degree certificate for a real university. This certificate often looks identical to the real thing. Fraudsters with access to high quality printing equipment can produce these to order. They can even include the elaborate seals and holograms found on the real documents. Some sites claim that these certificates are just “novelty items”, but there is no text on the purchased certificates to suggest such a thing. And it is possible for individuals with desktop publishing skills and access to templates or photographs of real degree certificates to knock up their own convincing fake versions. With employability at the forefront of many universities, it is the link with the commercial world where the danger of fake degrees needs to be keenly considered. Once an employer has taken on a graduate worker who cannot deliver, they will not wish to engage with that university in the future. Fake degrees bring with them a clear risk of damage to university reputation. As a sector, we need to do more to combat fake universities and fake degrees. The important work undertaken by the Higher Education Degree Datacheck is a good start, but awareness needs to go further. Every university needs to know about the imposters trading on its name, as well as the sites offering fake qualifications claiming to be from that university. It’s not just universities that are suffering. Image via Shutterstock. Employers too need to shoulder some responsibility when recruiting staff. They should not just take every candidate and every document at face value. 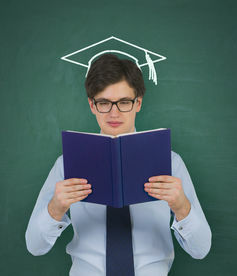 UK universities offer a service where qualifications can be verified. Some offer this verification directly. Other universities refer employers to the Higher Education Degree Datacheck or similar services that have been set up for this purpose. Continued alertness and vigilance is needed to preserve academic integrity. We need to stop fake universities trading on commodities that they’re not licensed to award.